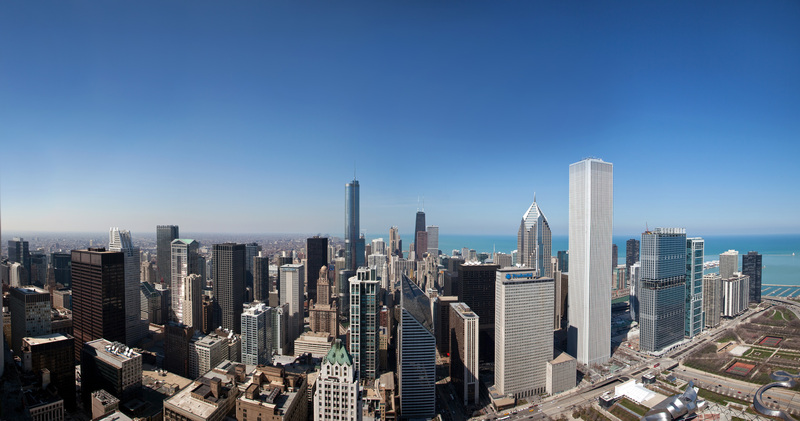 Mesa Development LLC and Walsh Investors have paid off the $275.5 million construction loan for The Legacy at Millennium Park, a luxury 72-story condominium high-rise located at 60 East Monroe Street, overlooking Millennium Park in downtown Chicago. The loan was repaid with proceeds from unit closings as well as a new $60.6 million loan provided by U.S. Bank and The Private Bank. Additionally, the Mesa/Walsh partnership has hired Chicago-based residential brokerage firm @properties to manage sales and marketing for the building, where more than half of the 356 condominiums have been sold to date. Currently, the Legacy offers one-, two- and three-bedroom floor plans as well as a handful of penthouse residences ranging from 875 to 9,301 square feet. Prices range from the high-$300,000s to $6 million. “We have successfully positioned the Legacy to take advantage of the recovery in the downtown luxury condo market, which began to take hold last year. Today’s buyers will enjoy a building that is financially rock-solid and has a balanced inventory of homes priced to the market,” said Richard A. Hanson, principal and founder of Mesa Development LLC. The new loan is believed to be the largest – and one of the only – refinancings of a condominium construction loan in downtown Chicago since the credit pipeline for condominium developments shut off in 2008. The views, above and below, that we enjoyed from the 71st floor of Legacy while it was under construction several years ago are some of the best in Chicago.